I'm excited to be bringing you the Jooki review today. This has been so helpful where our toddler is concerned. When tots are around three they suddenly develop a strong un-breaking streak of independence, they want to do everything all by themselves. Things like them turning on their own music, touching certain tech devices causes some foot stomping when they can't do it themselves. If you have a toddler, it's time for you to meet Jooki. 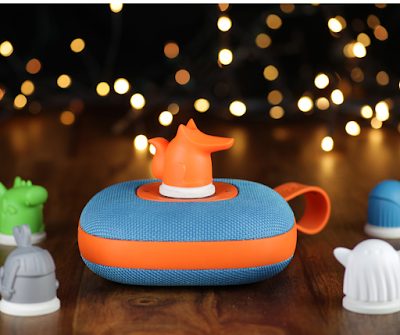 Jooki is a music player that children can use independently in a safe and screen free environment. This is an awesome adorable device. The Jooki comes with five little characters. Each character can be linked to a playlist. 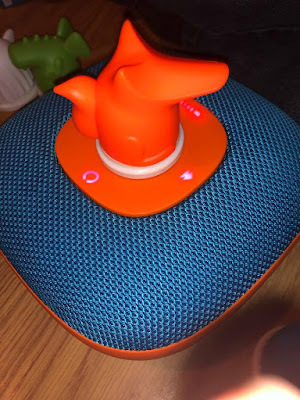 The characters can be popped on the top of the Jooki device to start the music. Parents will use the Jooki app to create playlists and link them to the adorable chunky sized, modern characters. These characters can be switched out as soon they're ready to hear something new. Each character can be linked to a playlist using Jooki's web or mobile application. This works with Spotify and many music files such as MP3, AIFF and WAV. As the parent you remain in control of the content your little ones are listening to. You can link Jooki to Spotify, web radios or simply upload your own content for when your not online. 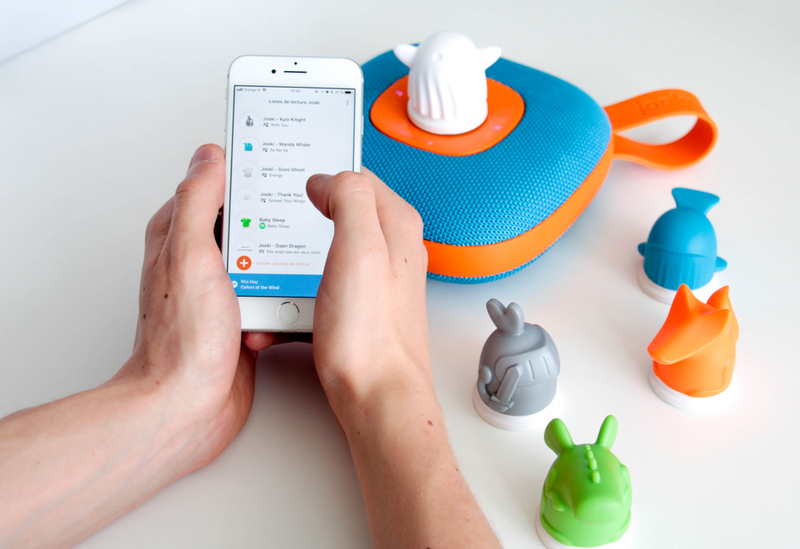 Kids can easily and independently play Spotify playlists straight from Jooki. You will need a Spotify Premium account to use Spotify on Jooki. Once you have linked a character to a Spotify playlist a Smartphone is not required. This is an amazing little device that has helped to cease some of the foot stomping around our home. Our toddler can easily play his favorite music and he usually listens to a couple different stories before bedtime. I also like that you can maximize the volume to protect children's little ears. The sound quality is great. It's superior quality is thanks to stereophonic speakers. The Jooki was simple for me to set up. It also is easy enough for toddlers to catch on too. He can listen to his music and dance whenever he'd like. He figured this out quickly. Mason uses his Jooki everyday. It is portable so it can be used inside, outside or on the go. He likes taking Jooki on our walks or in the car. There are no chords, plugs or wires to worry about and it's battery gives you 8 hours of streaming or offline playtime. The Jooki is durable and made with high quality material. It is not going to break if the kids get a little rough or accidentally drop it. It is sturdy and bright orange so it is very easy to spot. These are affordable and worth it. They would make a great gift for the coming holiday season or a birthday. Three geek dad's created Jooki. 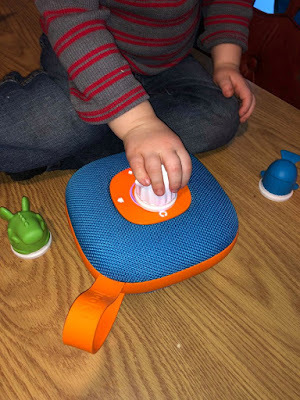 A smart player for kids. Preschoolers can let go of their phones and grow good habits. With Jooki, kids are in control to listen, dance, imagine while music or stories play without any help from grown ups. Jooki is the smart player that lets kids choose and listen to music and stories with ToyTouch technology.